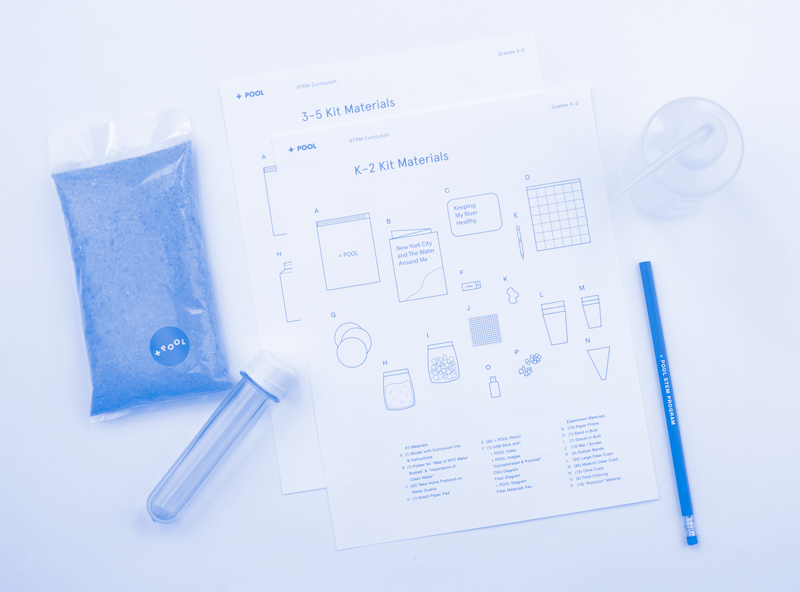 STEM + POOL is a free classroom curriculum designed for students that uses the science, technology, engineering, and mathematics of + POOL to teach kids about water quality. Our classroom curriculum explores ways in which design can be used to solve environmental problems and works to empower youth through a real-life example of designers taking initiative to better their city. Through STEM + POOL, students learn the basics of water quality testing, parameters by which to determine clean water, filtration methods, general architecture and design principles, and how + POOL is using science & engineering to clean the East River and create a recreational swimming space. Students also have mentorship opportunities with the artists and designers of + POOL who will conduct site visits and hands-on learning activities upon request! As with all of the programs we’ve launched, there have been amazing collaborations to come out of the initial idea. We’ve revisited the curriculum through teacher trainings with New York Sun Works to make sure that the experiment is as effective and fun as possible. Students from Hunters Point Community Middle School worked in our curriculum and story as a way to study A Day in the Life of the Hudson River Estuary. STEM + POOL Meets NYS Education Standards for grades K-12 and is a partnership with New York Sun Works. STEM + POOL is made possible by S.P.A.C.E. Additional support has been provided by the New York-New Jersey Harbor & Estuary Program and the Hudson River Foundation.